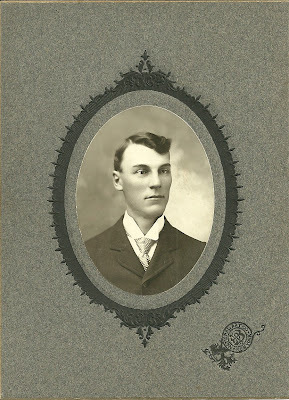 Photograph of Lee Hartman of, I assume, perhaps incorrectly, Durham Township, New York. 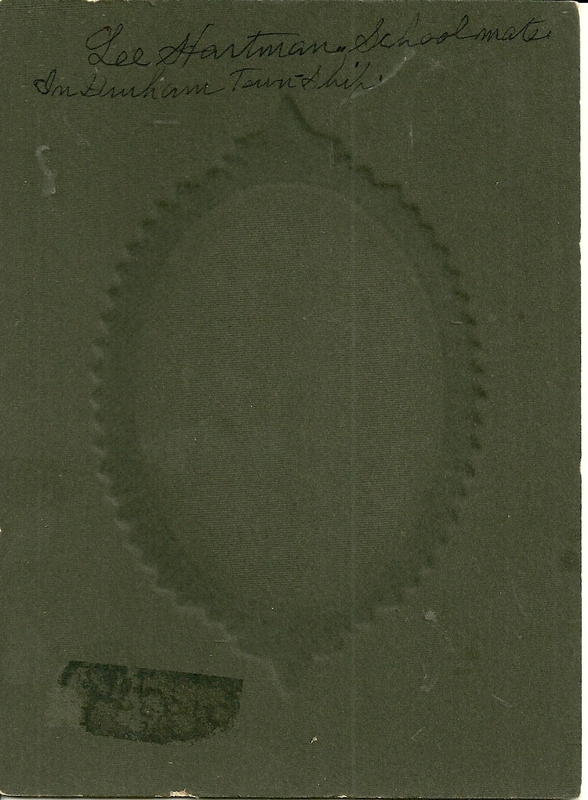 Imprint on the front of the photograph from the National Art Co. of New York. 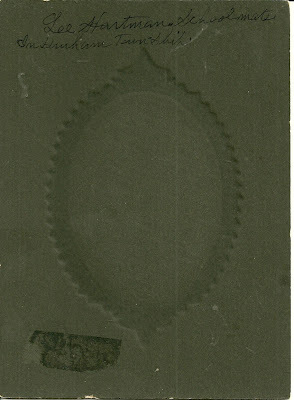 Identification is on the reverse in pencil: "Lee Hartman, Schoolmate in Durham Township". I think Durham Township, New York, is now known as Durham, New York. Researching online, I haven't had much success in further identifying Lee Hartman. I didn't find a Lee Hartman in Durham Township, New York, in the Census, but he might have lived there between Censuses. Perhaps the Durham Township referenced in the identification is not Durham Township, New York. Perhaps it was Pennsylvania. There were several different men by that name born in states other than New York, including a couple in Pennsylvania. Also complicating things is that "Lee" might have been his middle name. If you know of a Lee Hartman who spent at least part of his childhood in Durham Township, New York, or another Durham Township, please leave a comment in the comments box or contact me directly.